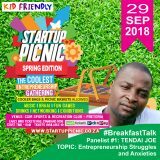 Startup Picnic is attended by a range key people: entrepreneurs (and the aspiring), investors, incubators, and various other key people. Dress for fun. Picnic baskets and cooler bags are allowed. Braai stands and charcoal are provided. 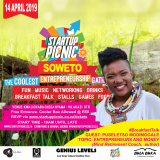 Startup Picnic has featured on Power FM, Destiny Man magazine, Radio 2000, Business Report, Winslyn (DSTV) and many other channels. We’ve worked with likes of Nedbank, The Hope Factory, and ACM Gold. Tebatso Molapo is a social media marketing entrepreneur and founder of Re Basadi (www.rebasadi.co.za) – which focuses on the empowerment of young female entrepreneurs through events & digital content. She has worked with brands such as New Balance, Volkswagen, Pan MacMillan and Ford South Africa. She started Re Basadi when she was 19 and has since grown the network and collaborated with female entrepreneurs in Nigeria, Namibia, UK and Kenya. Mark Makhubalo currently leads and owns six successful companies within different sectors i.e. mining, entertainment, consulting and property. He sits on eight boards where he helps shape the strategy of the organizations. He holds an Undergraduate degree from Wits University, a Masters Degree in Accounting and an MBA from the University of Pretoria. He is currently doing his PhD at the University of Johannesburg. Lunga Ncala is a talented radio presenter, MC, abuse activist and marketer. His radio history includes presenting a breakfast show on Unisa Radio and Radio Midrand. 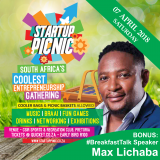 Lunga Ncala has been Startup Picnic’s official MC since 2014. In 2017 through his #RideAbuse campaign, Lunga and his cycling partner Aobakwe Kgobokoe cycled – on bicycles – a 1000 kilometres from Pretoria to Soweto to Tzaneen in Limpopo during the 16 Days of Activism Against Women and Children, to raise awareness. In 2018 Lunga is cycling 2000 kilometres over four countries: South Africa, Lesotho, Swaziland and Mozambique. Tendai Joe is a Zimbabwean born, Pretoria based digital publisher and tech entrepreneur. He is the founder of Namefuun Media and Entertainment LLC which specialises in the development of online entertainment platforms, apps and games for emerging markets in Eastern Europe, Africa, Asia and South Ameica. Tendai previously co-owned Loftus Digital Solutions – which specialised in mobile app development, mobile game development. Tendai is known in the Tech industry as one of the few mobile device testers and reviewers, has worked with Samsung SA, Huawei, LG and Lenovo. He is also a former Intel SA ambassador. He has worked with leading south african and international brands including: MTN, Nedbank, Nelson Mandela Foundation, Wechat, Vodacom, Telkom, Iveri, Samsung, Lenovo, SAB Miller, Heineken, FNB, The Gautrain, Junior Achievement South Africa, GIBS, UNISA and ENKE. Tendai is an avid photographer, Anti Human Trafficking Activist and music lover. Kelahloko Mashiloane is a geologist turned business and leadership consultant. 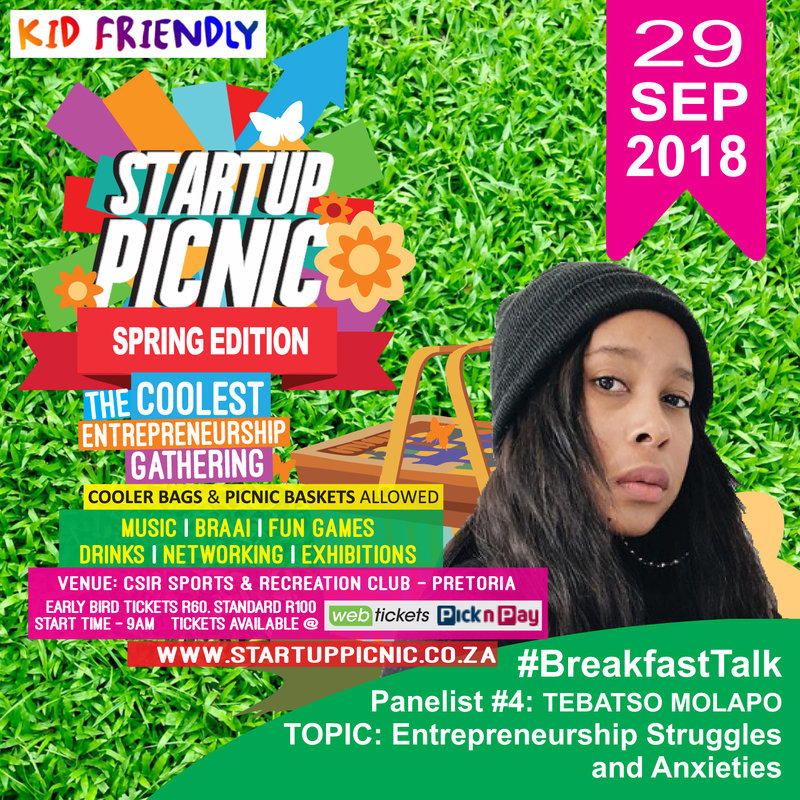 She is the founder of K-Elixir Consulting, specializing in equipping small to medium-sized enterprises with skills needed to increase efficiency and productivity. She holds a bachelor degree (Hons) in Geology from The University of Pretoria, a Post Graduate Diploma in Business Administration from GIBS and currently studying towards a Masters degree in Management: Entrepreneurship and New Venture Creation with Wits Business School. I’m also a John Maxwell certified coach, training and equipping corporates, organizations and the youth in the field of leadership, ethics and good governance. 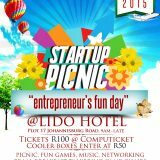 For inquiries contact info@startuppicnic.co.za. 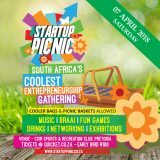 For exhibition enquiries, visit www.startuppicnic.co.za/exhibit or email exhibitors@startuppicnic.co.za.